She was asked about her recent book, "Democracy: Stories from the Long Road to Freedom," and about how she sees herself as a black woman in today’s United States. Co-host Brian Kilmeade asked: "When we look at nine of our first 12 presidents as slave owners, should we start taking their statues down, saying we're embarrassed by you?" She answered that, no, we shouldn’t. "I'm a firm believer in keeping your history before you." "I don't actually want to rename things that were named for slave owners," Rice continued. "I want us to look at the names and recognize what they did and be able to tell our kids what they did and for them to have a sense of their own history. When you start wiping out history, sanitizing history to make you feel better, it's a bad thing." History, properly told, presents the good, the bad and the ugly. Providing an illuminating lesson about our history she noted that the Constitution originally counted black slaves as "three-fifths of a man," and then gave examples of how America has evolved since. "In 1952, my father had trouble registering to vote in Birmingham, Alabama," she said. "In 2005, I stood in the Ben Franklin room, [named after] one of our founders, and I took an oath of office to that same Constitution and it was administered by a Jewish woman Supreme Court justice. That is the story of America." "They were the people of their times," Rice said, alluding to the fact that few if any alive at our country’s birth had ever lived at a time, or in a place that slavery was not reality. As bad as that was, it was the way things were. In fact, Anthony Johnson, a black Angolan who achieved freedom in the early 17th-century Colony of Virginia after serving his term of indenture, became a property owner, and was one of the first slave owners in Virginia. "I wish [all the Founders] had been like John Adams, who did not believe in slavery,” Rice continued. Another Founder who was not a slavery supporter was Benjamin Franklin, who in 1787 began serving as President of the Pennsylvania Society for Promoting the Abolition of Slavery. “I wish they had been like Alexander Hamilton, who was an immigrant by the way, a child of questionable parentage from the Caribbean. I wish all of them had been like that, Jefferson in particular. There were a lot of contradictions in Jefferson ... we should celebrate the Jeffersons, Washingtons, slave owners. Look where we are now." America’s path from slavery, to freeing the slaves, to today’s circumstances has been long and often troubled. 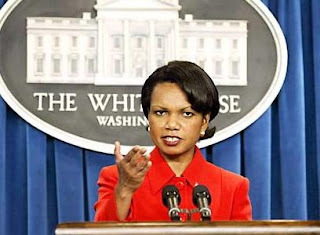 But today, we see people like Condi Rice who have risen to the heights of our country. America’s history of slavery and the long, difficult struggle to finally end it 150 years ago is also her history, and the history of most black Americans. The list of black Americans who have achieved great things is long, indeed, and includes people in government, such as Barack Obama, Loretta Lynch, Eric Holder, Ben Carson, Clarence Thomas, Colin Powell, and more than 30 current members of Congress elected by their constituents to represent them. In addition, there are also hundreds of black professional athletes – including those who feel led to take a knee in protest – as well as musicians, actors, entertainers, television personalities, and those in the professions. Rice also noted that owning slaves was only one part of the lives of the Founders. So many things that these former slave owners did that were positive and contributed so much to our country are overlooked by their critics. Perhaps it’s because they are not aware of these beneficial acts, or maybe they simply believe no positive aspect of their lives is sufficient to overcome their involvement in slavery. 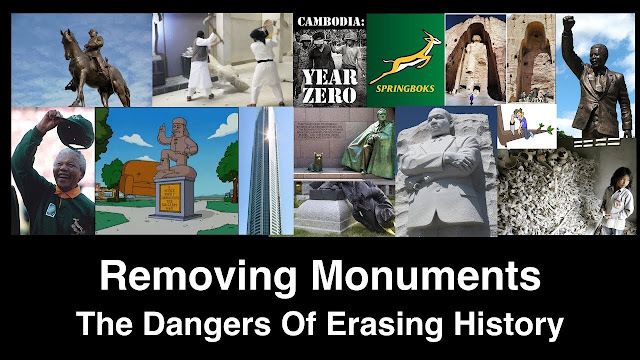 Today, people want to remove monuments recognizing our Founders, and sometimes take illegal, destructive actions against them, all because they owned slaves more than 200 years ago. Nothing else about them matters. What needs to be done is to not tear down reminders of America’s history of slavery – which at the time existed not just in America, but all over the globe – but instead to learn about and celebrate America’s progress since that time. Wouldn’t a more productive use of these anti-slavery sentiments be to focus on ending slavery around the world?